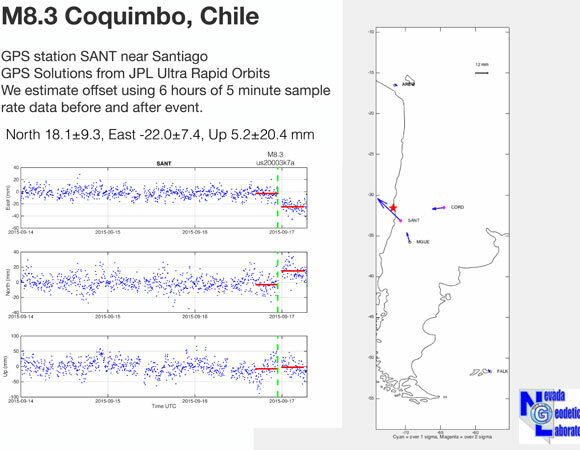 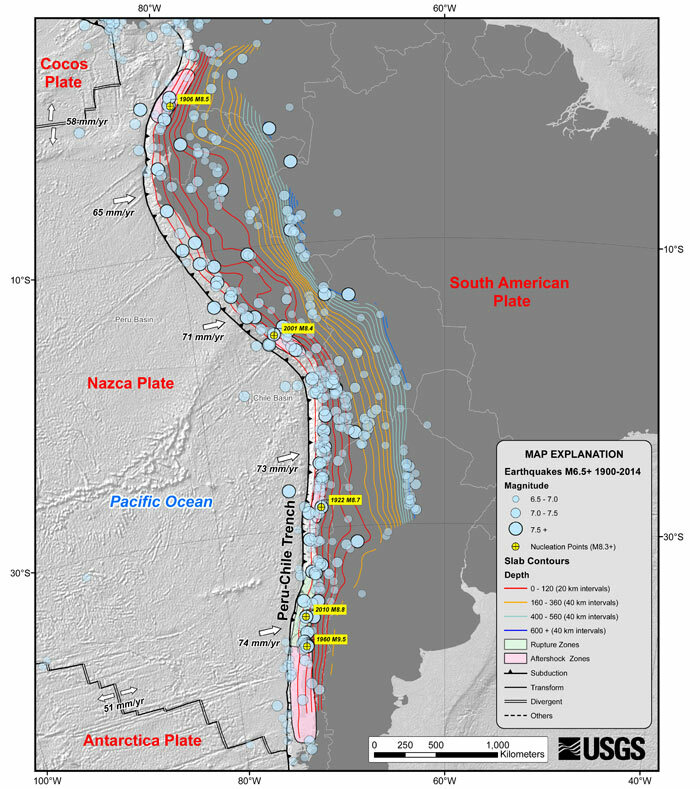 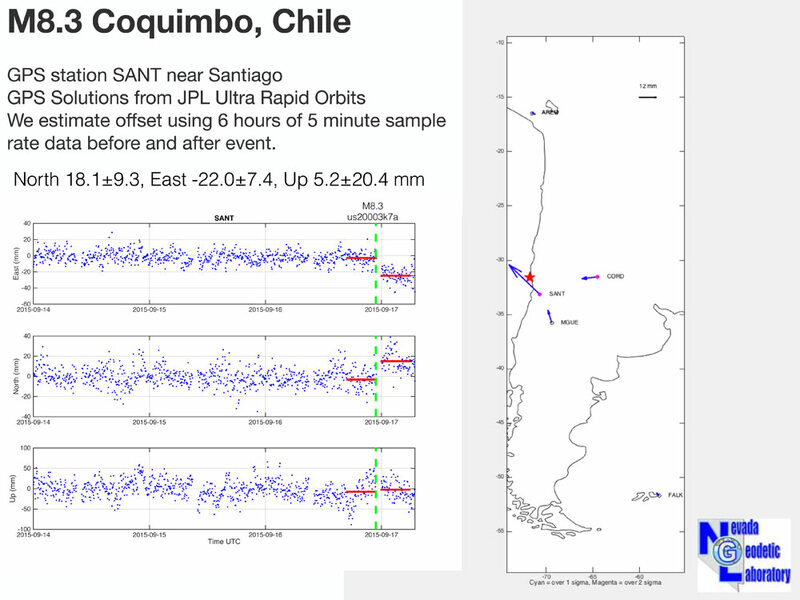 The September 16, 2015 M 8.3 earthquake west of Illapel, Chile, occurred as the result of thrust faulting on the interface between the Nazca and South America plates in Central Chile. 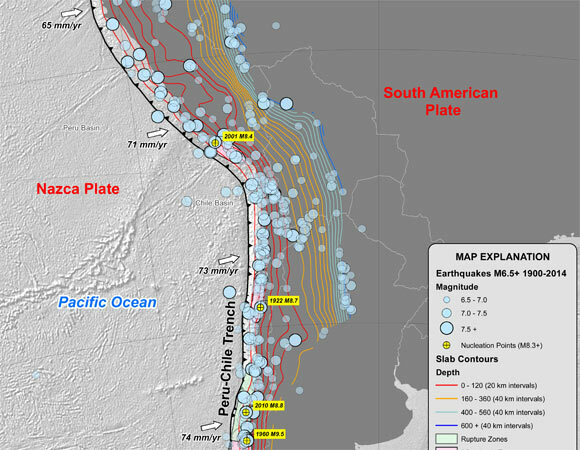 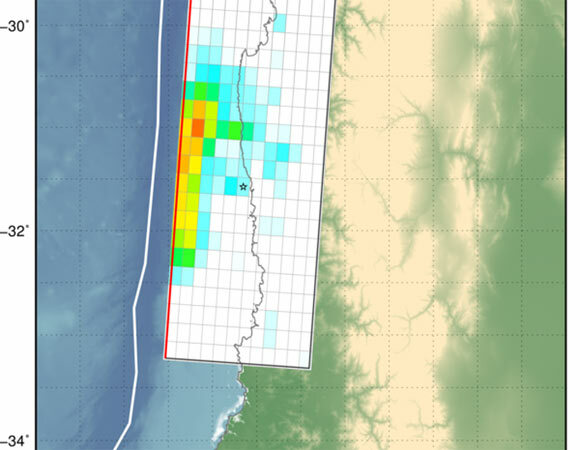 At the latitude of this event, the Nazca plate is moving towards the east-northeast at a velocity of 74 mm/yr with respect to South America, and begins its subduction beneath the continent at the Peru-Chile Trench, 85 km to the west of the September 16 earthquake. 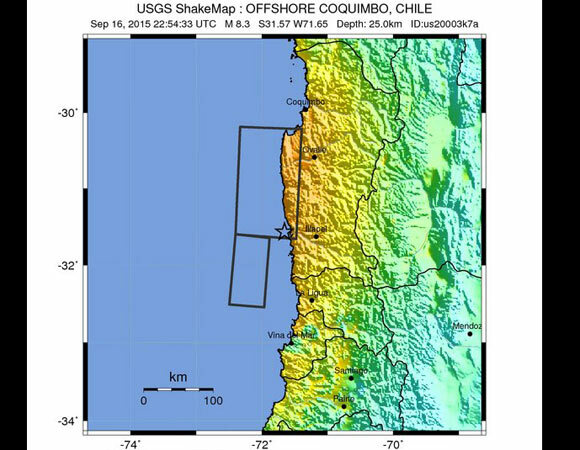 The size, location, depth and mechanism of this event are all consistent with its occurrence on the megathrust interface in this region. 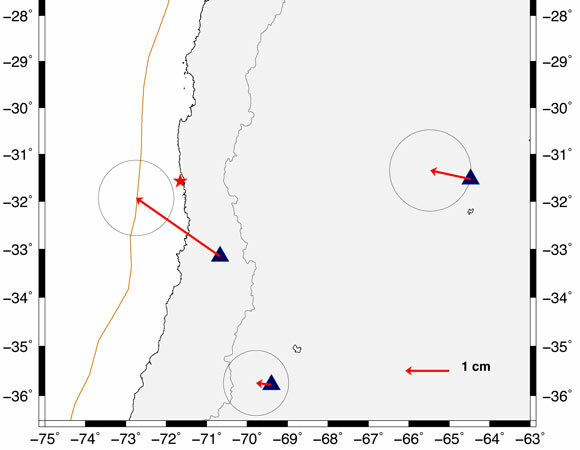 While commonly plotted as points on maps, earthquakes of this size are more appropriately described as slip over a larger fault area. 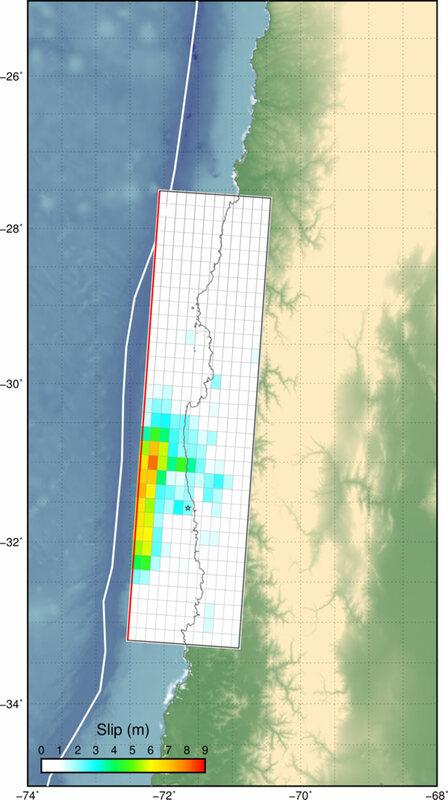 Events of the size of the September 16, 2015 earthquake are typically about 230x100 km in size (length x width). 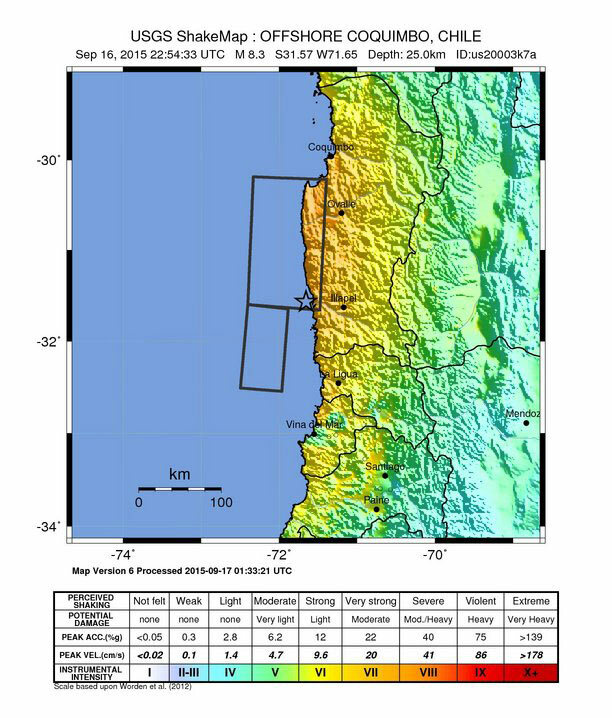 Chile has a long history of great earthquakes, including the 2010 M 8.8 Maule earthquake in central Chile, which ruptured a ~400 km long section of the plate boundary south of this 2015 event (and to the south of the Juan Fernandez Ridge, which enters the trench immediately south of the 2015 earthquake). 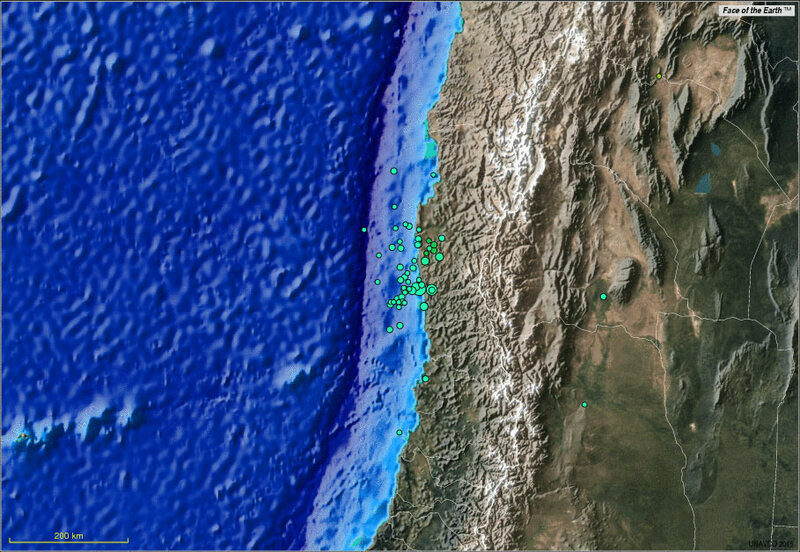 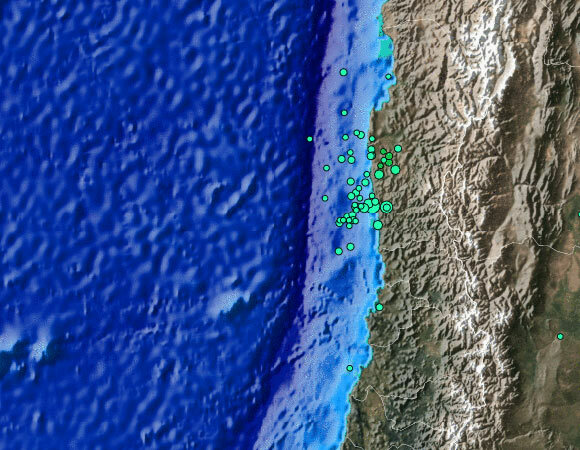 This subducton zone also hosted the largest earthquake on record, the 1960 M 9.5 earthquake in southern Chile. 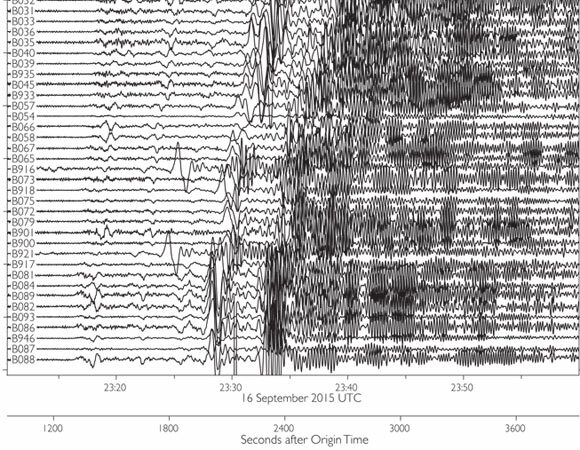 The region within 400 km of the September 16, 2015 earthquake has hosted 15 other M 7+ earthquakes over the past century. 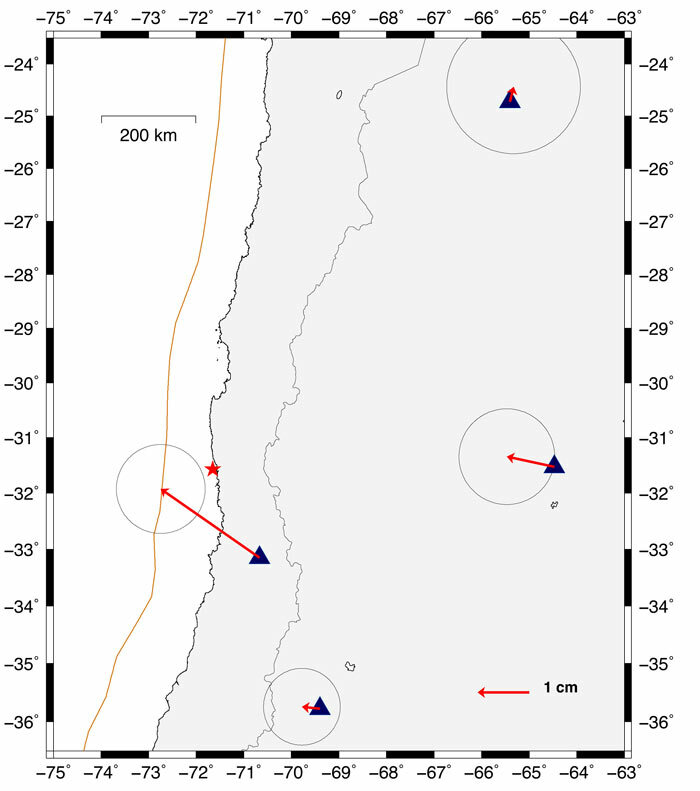 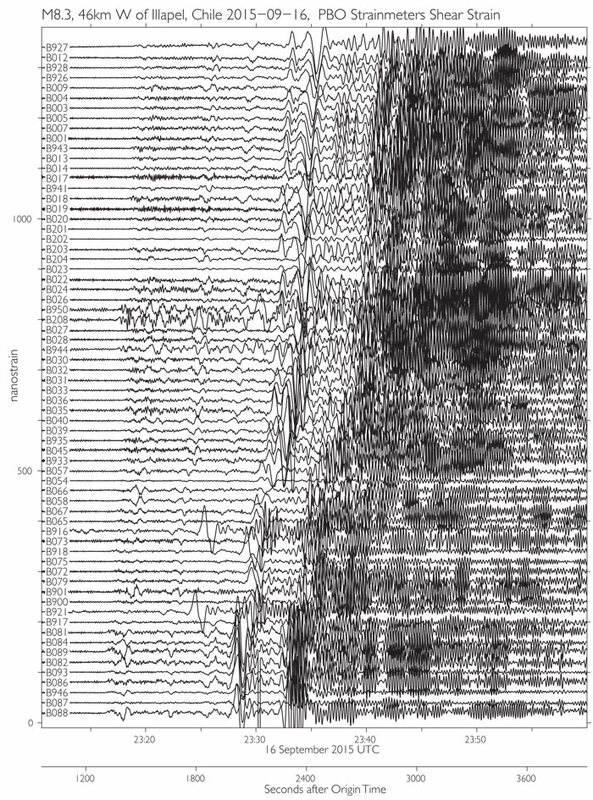 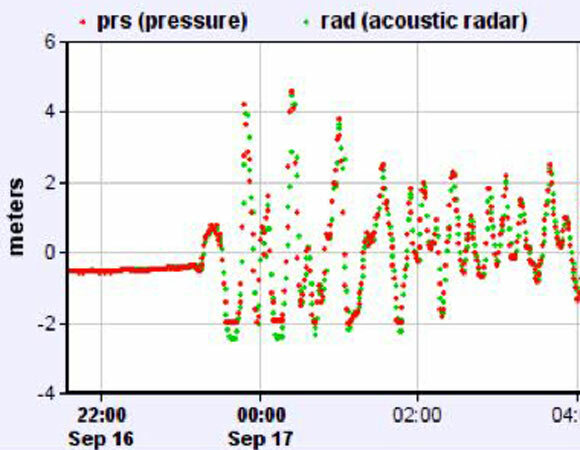 UNAVCO has produced a fully processed 1-sps borehole strainmeter (BSM) dataset spanning the time period of this event, made available at http://borehole.unavco.org/bsm/earthquakes/20150916_Illapel_Chile/. 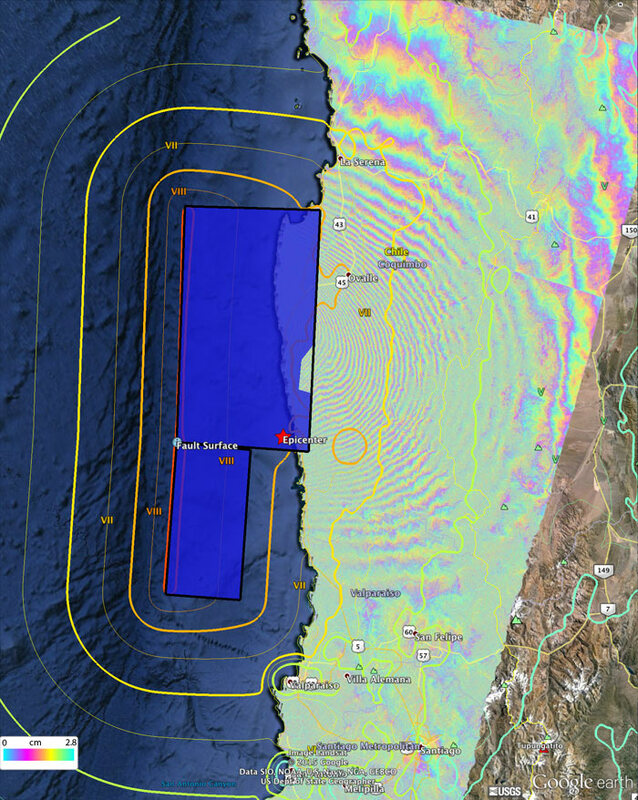 UNAVCO helps coordinate community field activities, hardware, and data requests following an earthquake or other notable geophysical event. 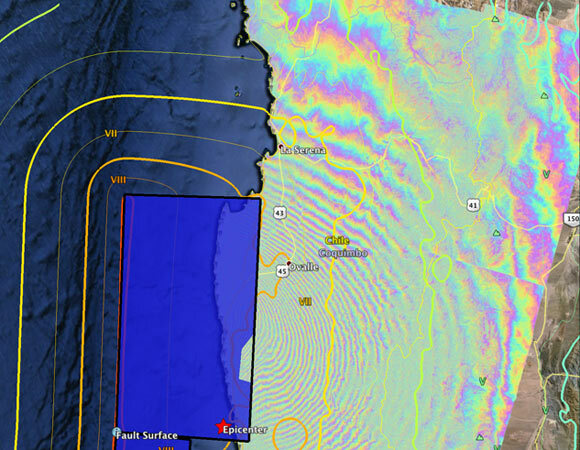 If you would like to request UNAVCO equipment or additional gathering of custom data sets, please review the UNAVCO Event Response Policy and then Request Support or submit a Custom Data Request.